This is a collection of pictures - mostly family adventures - from early days in New Zealand, over to Australia, and then Ireland .... and back again. 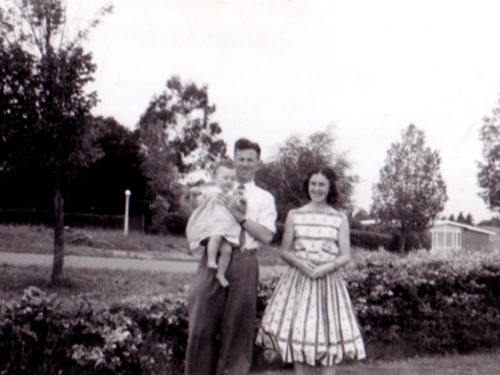 Patrick, Deirdre and 11 month old Clare outside the Ainslie University Flats (Australian National University) in Canberra 1957. Patrick was in the final stages of completing his PhD in History on Harry Holland, the first leader of the Labour Party in New Zealand.